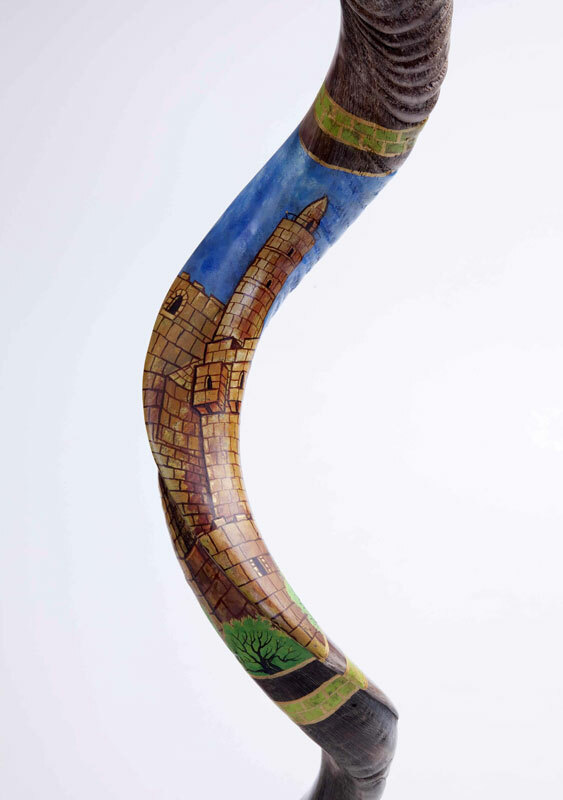 This kudu horn shofar is a nice example of Judaica with great significance in Judaism. It is adorned with the picture of David’s tower, which accentuates its symbolical meaning. 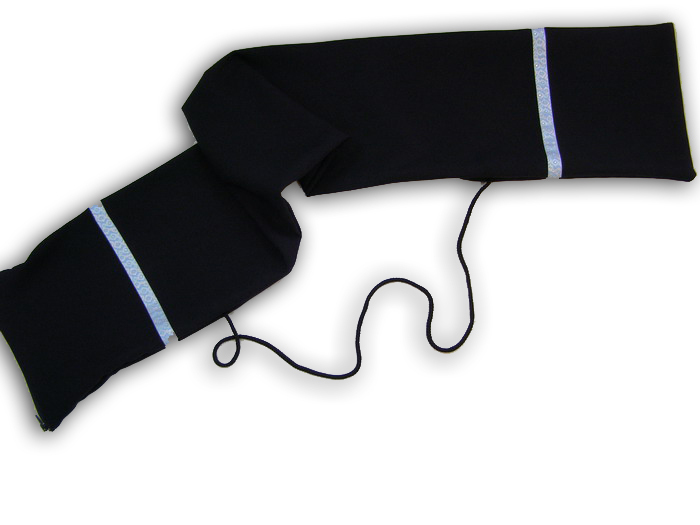 It will be worthy part of rituals on Rosh Hashanah and Yom Kippur. 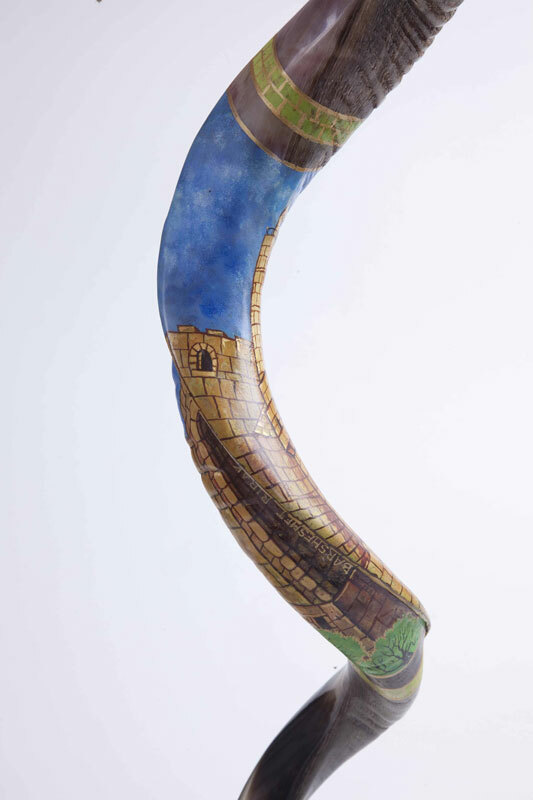 A Shofar is an important Judaica item, connected with the tradition of Rosh Hashanah and stories in the Bible. 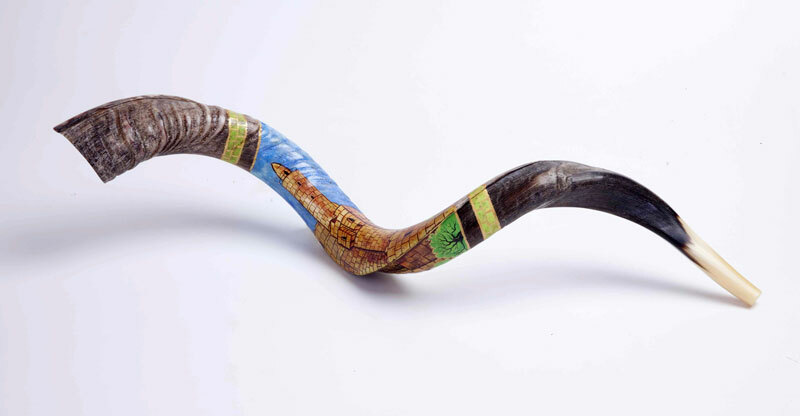 This adorned kudu horn shofar is a distinct example of Jewish ritual object used since ancient times. 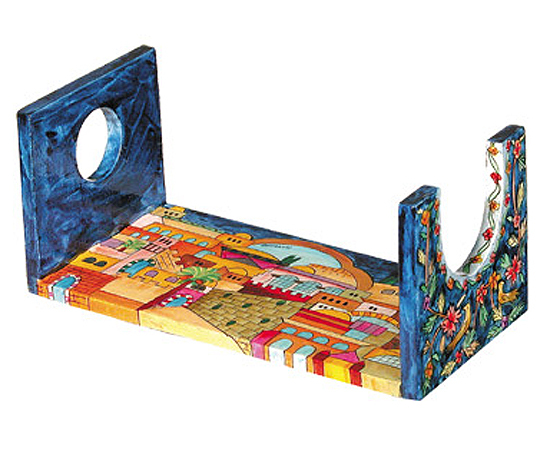 Great part of its surface is covered with colorful picture of David’s tower, motif accentuating its symbolical meaning. 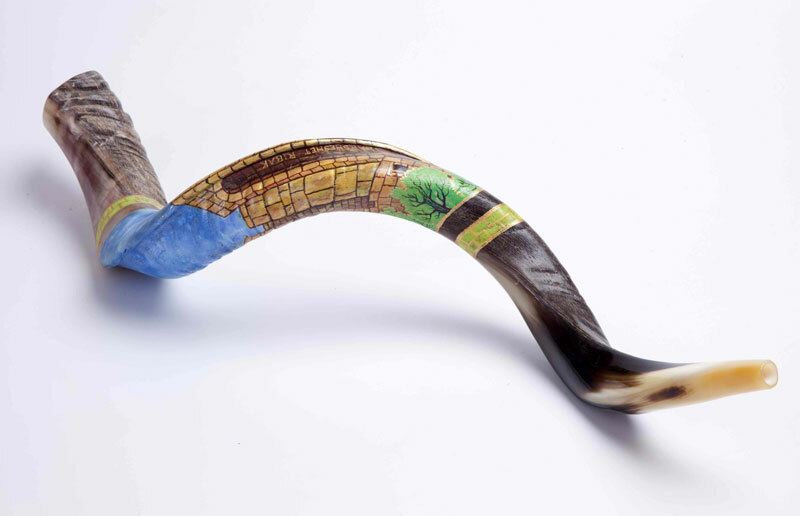 Beside the part with the picture, this shofar still keeps the genuine texture of the kudu horn, which adds to the impression of strong tradition. 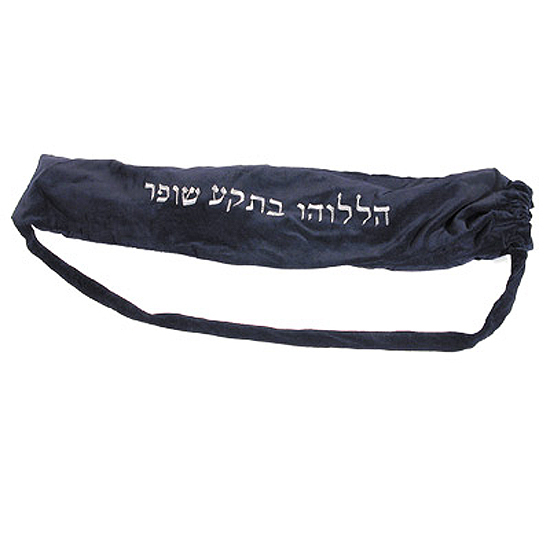 Shofarot are used in more occasions, but the most often during services on Rosh Hashanah and to mark the end of the fast at Yom Kippur. 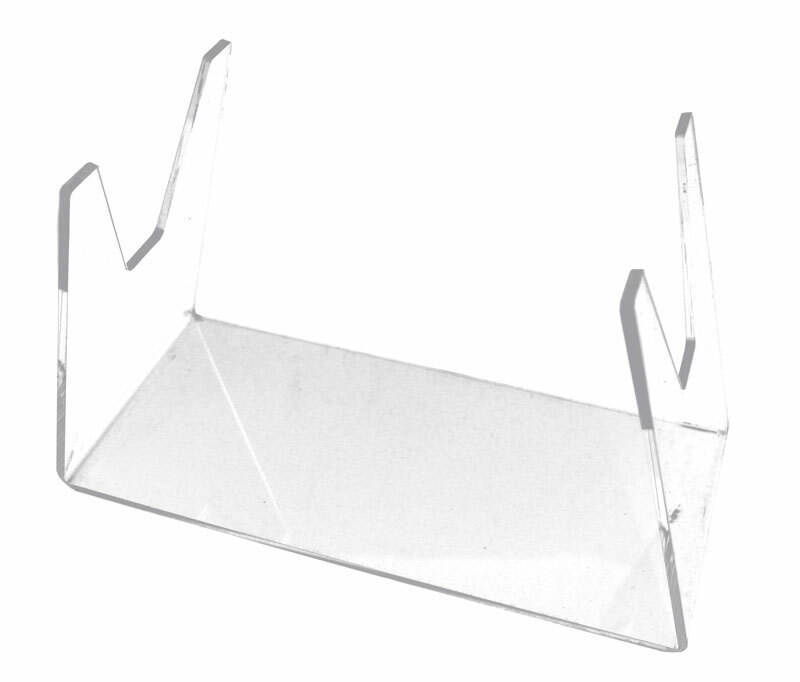 They are blown to call listeners to action. 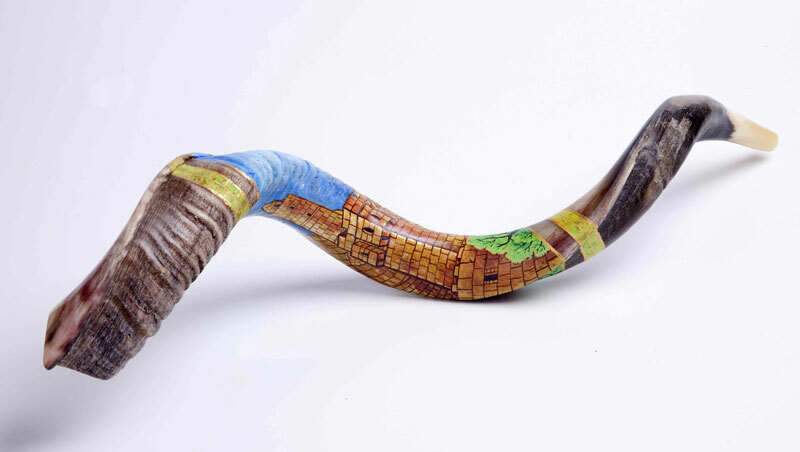 Use this genuine kudu horn shofar at these special moments. Let it wake up the soul to the presence of its Infinite source or to call the listeners to atone for their sins.